Africa’s animals and wild places have held a fascination for Alison since childhood, especially the big cats – the grace and speed of the cheetah, the charisma of lions and the stealth and beauty of leopards. 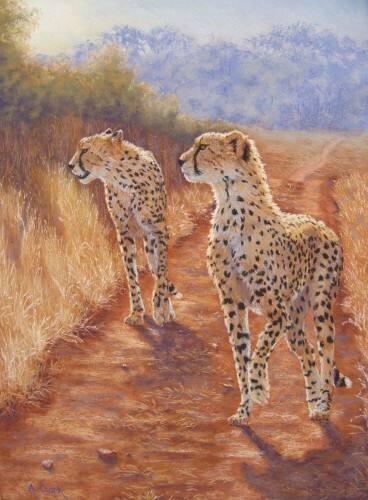 Like many wildlife artists, she hopes the beauty of the animals in her paintings will not only be appreciated for their own sake, but also to foster a desire in people to conserve the wildlife. After her first amazing trip to East Africa, she decided to focus on painting African wildlife, and prefers to use references she obtains herself from observations in the wild. She regularly returns to Africa to gather reference material and perform conservation volunteer work with wild animals, assisting researchers and observing the animals in their natural habitats. As a result, she has had some amazing experiences. Passion for these animals has grown more with each trip as her understanding of them deepens. “I feel this immersion in their environment is essential to bring authenticity to the images I paint, to get the right feeling on canvas that reflects the experience of being there with them and elicit an emotional response from viewers,” she says. Alison also paints horses, another life-long passion as she has owned and ridden horses for over 30 years. 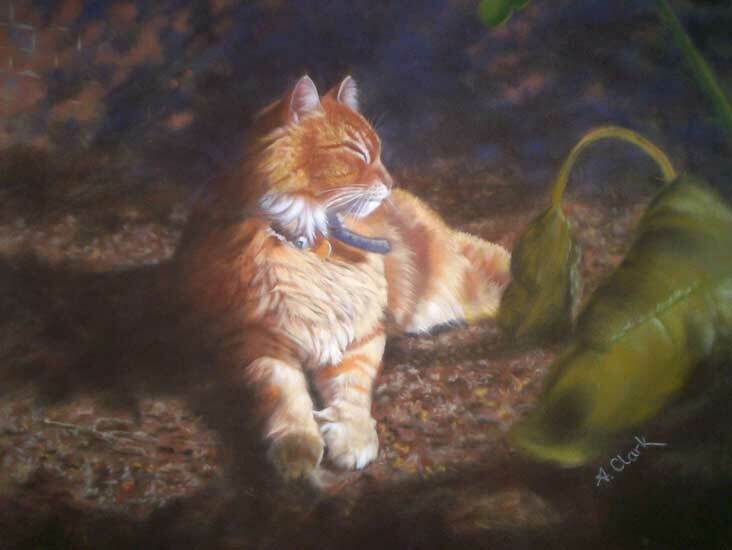 She studied pastel with Regina Hona and oil with Stephen Powell and has won awards for her animal paintings. 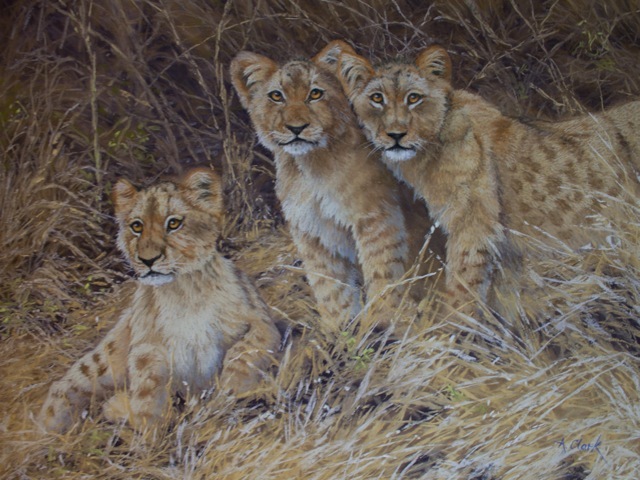 Her work has been featured in Australian Artist and Sabona magazines, the US collectors’ magazine Wildlife Art, and is featured in the books An African Legend: White Lions and Leopards, and the recently published book showcasing Australian pastel artists, Luminous Colour. In 2013 Alison completed a wildlife photography internship in South Africa as an adjunct to art and is currently studying a degree in zoology.